In the building and I'm feeling myself. Have you ever felt like the heavens opened up and God himself rained down blessings on your natural crown so much so that you didn't have room enough to receive them? That's EXACTLY how I felt when this style was complete. And I know there was some divine intervention - because I've owned sets of flexi rods for YEARS and could never quite seem to get them right. They were either too loose (hi, puffy damp roots with silky smooth ends), too tight (#teamnosleep), too wet, too product-laden, or rolled the entire wrong way and fell out as soon as I blinked. Can anyone relate, or is it just me that's totally style inept? Now that you know all about my past flexi faux pas, it's time to get excited. Because I've finally achieved bountiful curls in all their flexi rodded glory, thanks to the tips and hacks below. Oh, and the kicker? From install to to final fluff, it only took an hour and 5 minutes. Yep, 65 minutes to donesville. The super moisturizing styling duo. The no-fail flexi rod set is best achieved on stretched, dry hair - a blowout, old wash and go, old braidout, twistout, etc. Ready? Let's break this down step-by-step! Detangle your hair with the wide tooth comb and apply a nickle-sized amount of Honey Leave-In to the hair. It's important to not get too crazy with this particular leave-in - it's thick, sticky, and potent. Part hair in 2 sections, top and bottom. Secure each section with a no-metal elastic to create taut, but not too tight ponytails. 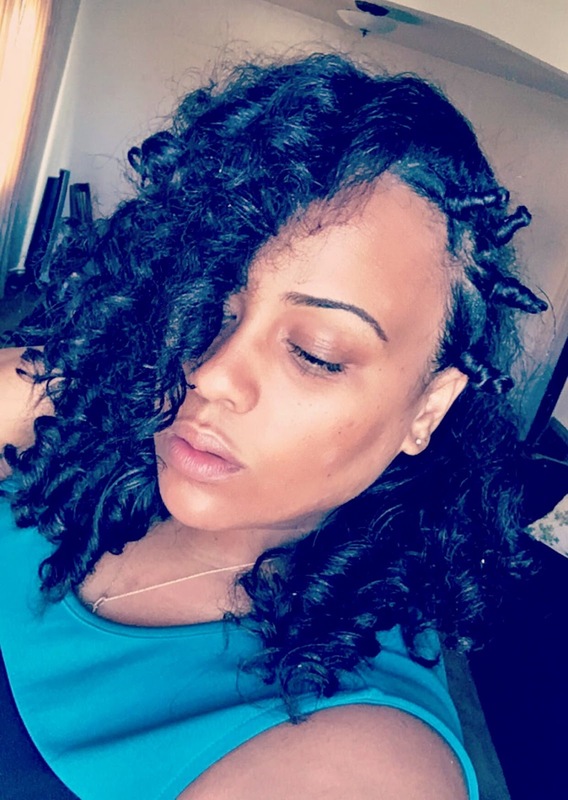 Secured ponytails are the key to making this flexi rod set work - allowing you to achieve smoother roots and a more elongated style. The part doesn't have to be perfect...clearly. Lol! In sections of hair approximately 1/2 to 3/4 of an inch wide, apply a dab of Aloe Whipped Butter Gel, and comb until smooth. Begin rolling the flexi rods from ends to the base of the ponytail. I worked on the back half ponytail first, then moved up top. I probably roll my rods differently than other naturalistas - I tried working from the top down, and securing the ends with more product - it didn't work. So I start at the bottom of the flexi rod, secure my hair over my ends with one roll around, and then roll upward. This results in a more shirley temple style curl, as opposed to a deep wave. I don't twist and twirl the hair around the rod, because I prefer a smooth curl that dries flat. Oh, and be sure to secure the rod by bending the top of it backwards behind the curl. Securing it forward causes it to unravel some. Repeat step 3 until done. Apply a little more Aloe Whipped Butter Gel around the edges and secure with satin scarf. Sit under the hooded dryer for 45 minutes or until dry. Without heavy product application, hair should be dry in under an hour's time. 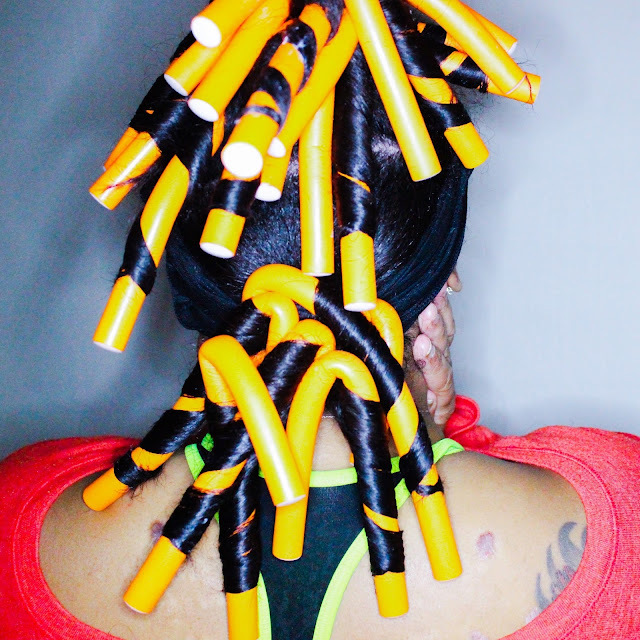 Undo flexi rods one-by-one until all that remains is two curly ponytails. There's no special magic here - I just unrolled them in the opposite direction. Gently undo the scrunchies and shake the indentations loose with your fingertips. Get the scrunchie print out! 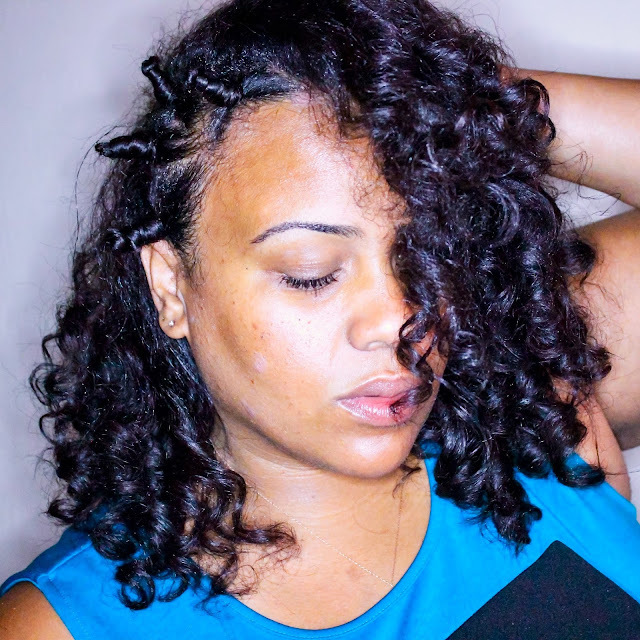 You can stop here and part your curls whichever way you want to wear them and be done - or you can get a lil' funky and throw a few bantu knots on the side like I did. 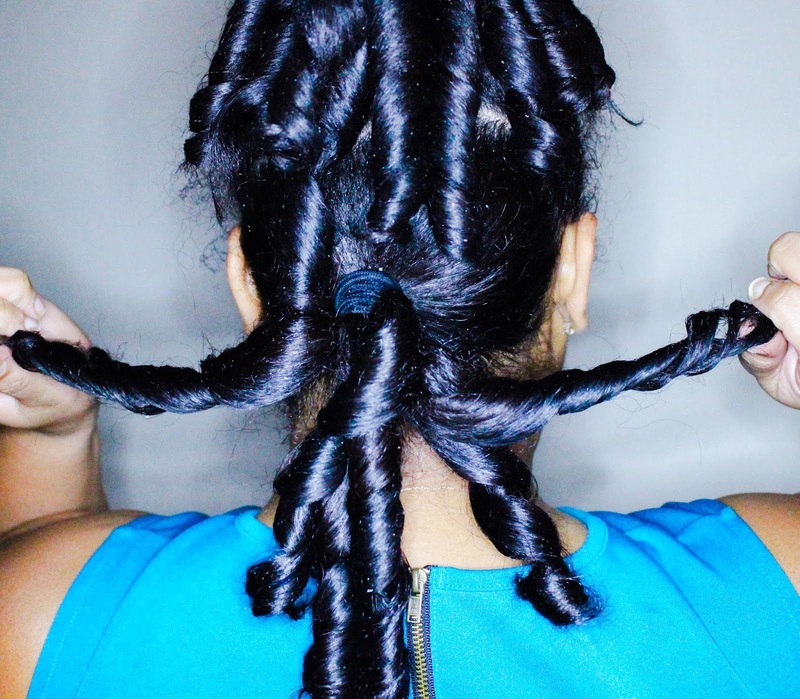 Either way, you're now flexi rodding like a BAWSE! 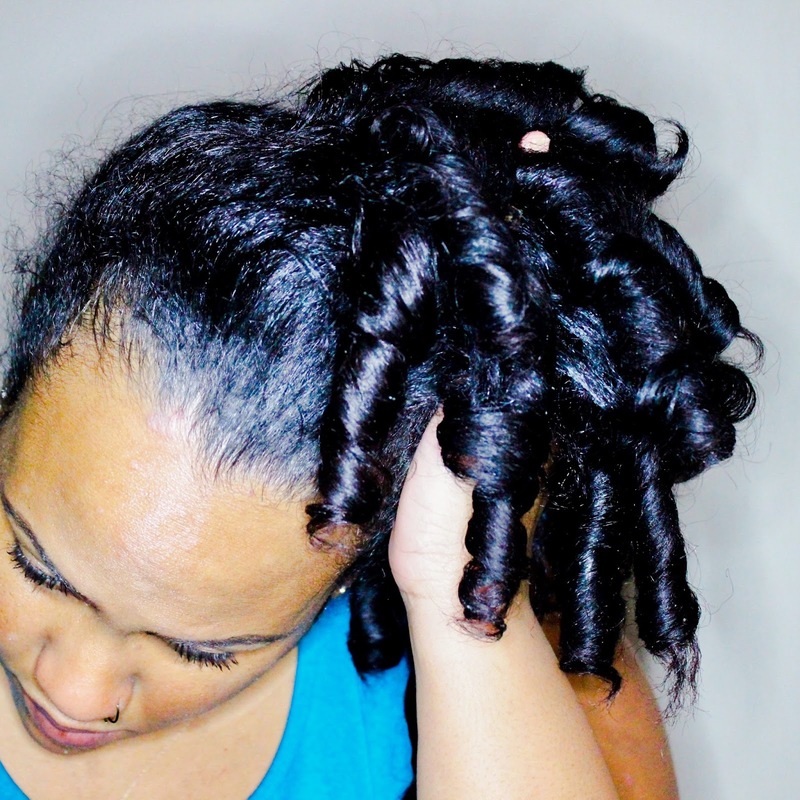 To preserve the flexi rod set overnight, use a big loose scrunchie and a scarf, or just a scarf to pineapple. Shake down the curls in the morning and bam! I Snapchat a lot. Lol! As you can see, I'm clearly thrilled and so proud of myself for being able to conquer a style other than the wash and go! And you KNOW it's easy if I can do it. Drop a comment below and let me know if you'll be giving this style a try anytime soon! 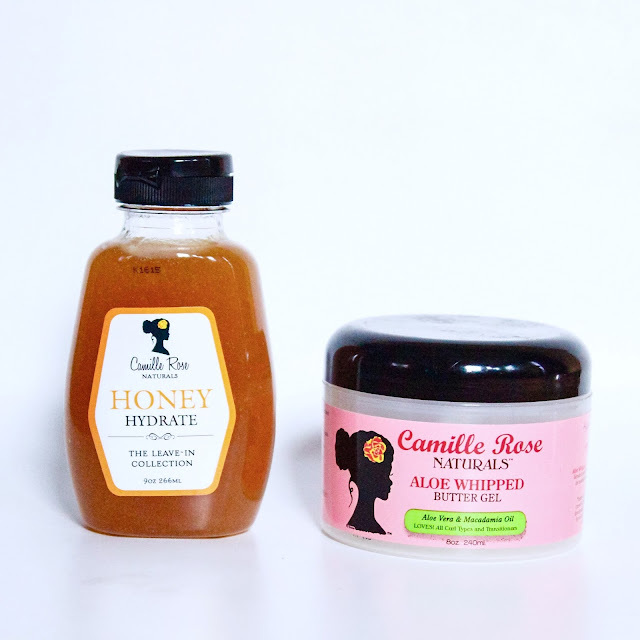 Don't forget to check out the other holiday styles I created with Camille Rose Naturals products! I'm super late with this, but thank you so much for this tutorial!!! 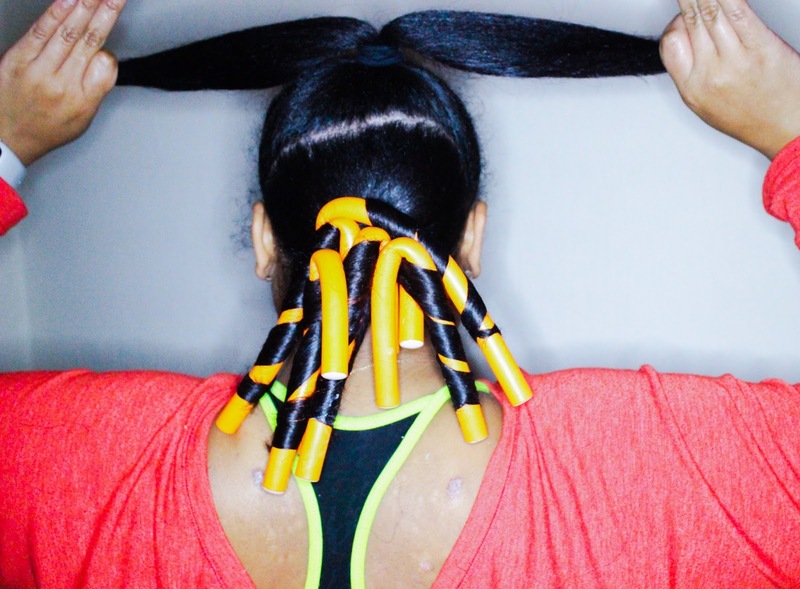 I've been struggling with flexi rods since day one (2010) & now I'm trying to get it right, I'm so gonna try this method, this is great! Great curls! My hair is too thin and I can do only hot curls with curler. Because if I try to curl it with rods it looks awful. Like a raven nest, really. One I've made such a mistake and was late for work< because I must lose those curls before going out. And I'm working at one of the top 10 translation companies and I can't look bad.